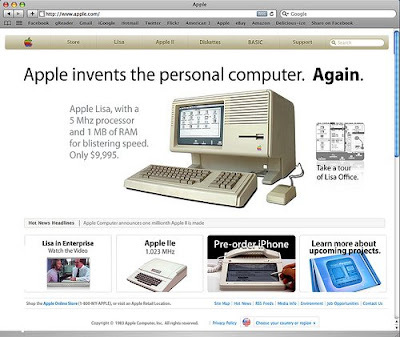 [BB-Blog]: The Apple Lisa, 1983. Apple Lisa, with a 5 Mhz processor and 1MB of RAM for blistering speed. Only $9,995. look at how their top nav has hardly changed! So do I jared... so do I.